Five-time Hugo Award winner Lynne M. Thomas is Co-Editor-in-Chief and Publisher of Uncanny Magazine with her husband, Michael Damian Thomas. The former Editor-in-Chief of Apex Magazine, she co-edited the Hugo Award-winning Chicks Dig Time Lords, as well as Whedonistas and Chicks Dig Comics. She also moderated the Hugo Award-winning SF Squeecast, a monthly podcast in which a group of SF/F professionals get excited about stuff they like, and contributes to the Verity! Podcast - a bunch of smart women talking about Doctor Who. In her day job, Thomas is the Juanita J. and Robert E. Simpson Rare Book and Manuscript Professor at the University of Illinois at Urbana-Champaign, where she heads the Rare Book & Manuscript Library, one of the largest public university rare book collections in the country. 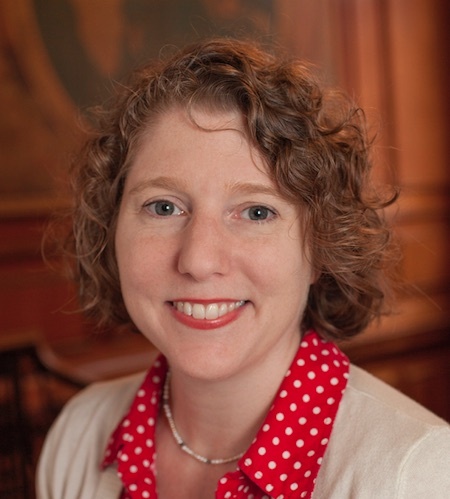 An alumna of Smith College with a degree in French and Comparative Literature, she also holds an MS in Library and Information Science from the University of Illinois at Urbana-Champaign, and an MA in English and American Literature from Northern Illinois University. Please note, the New York Athletic Club has a dress code; click here to view it on their website. We will not be in either the Main Dining Room or the Cocktail Lounge. NOTE: This event was rescheduled from March 21st due to a snowstorm. To check if you are already registered, click "Update My Profile" on the Account menu in the upper left, then choose "My RSVPs" (or email Kelly at kbelford@illinoisalumni.org). for his support of this event.